You are working on a project, e.g. installing the latest VMware Horizon View on a vSphere 5.5 Platform. 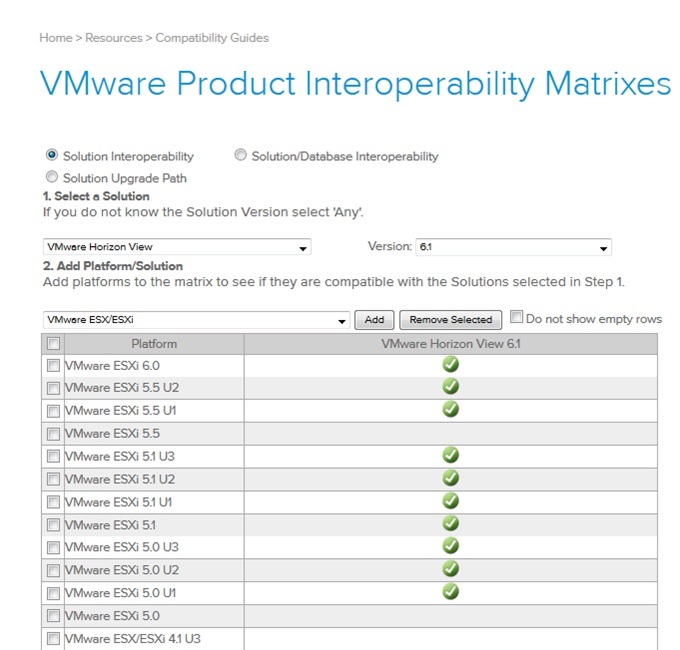 The VMware Product Interoperability Matrixes can help you determine which versions of ESXi are compatible with View. This is not the best example, as this version of View runs on almost all version of ESXi, you might see the issue, as ESXi presents no update levels, just build numbers. So how do you match Update levels to Build numbers? In the previous posts, we discussed the need for certificates, how to obtain certificates, implementing certificates on a vCenter Server Appliance, vCenter Update Manager server and finally a vCenter Orchestrator Appliance. Although there are more vSphere components, we conclude with the implementation of certificates for ESXi hosts. To create a certificate request for multiple ESXi servers, you can follow the procedure as describes in KB “Configuring OpenSSL for installation and configuration of CA signed certificates in the vSphere environment (2015387)”. You are currently browsing the Adventures in a Virtual World blog archives for May, 2015.